One of the most enjoyable aspects of earning a Ph.D. is sitting through courses known as “colloquium.” Basically, a colloquium is a gathering of Ph.D.’s (and Ph.D. wanna-be’s) for the purpose of debating ideas and pushing one another to think more thoroughly on a given subject, whether the subject is a theological perspective on art or a discussion of the impact of Second-temple Judaism on the writings of the apostles. One day, the subject of our colloquium turned to persecution, and I was asked rather bluntly by a professor whether or not Christians could persecute Christians. I had not thought of the question before. It is a question which has rolled around in my head ever since. My answer now is roughly the same as my answer then, “yes.” But the yes needs some serious qualification. First, let me explain why the answer is “yes.” Then, I will offer some necessary qualifications. From history and experience, the answer must be yes. 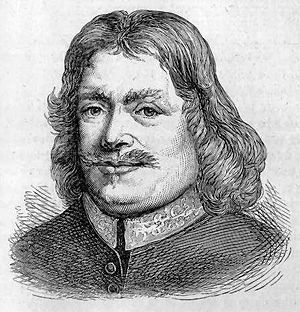 After all, it was Anglican leaders who persecuted John Bunyan, keeping him in prison for a dozen years because he dared preach the gospel without the approval of Anglican leaders. Likewise, King Henry VIII was the head of the Church of England when William Tyndale was persecuted to death at his behest. More to the point, I have a pastor friend who told me of a Sunday service in which he dared to question the dubious (but popular) seven-year timeline of a Tribulation Rapture. For his efforts, he was rewarded with the wrath of a 78 year-old, angry deacon. Not content to debate the text of Scripture with my pastor friend, the aging gentleman instead made his way to the front of the sanctuary, holding onto and pushing off of pew after pew, until he finally reached my friend and punched him across the jaw with all his might. Fortunately, there was not much punch left in the deacon’s punch, but the point was made all the same. The point (it seems to me) is that the flesh of all men—even professing believers—gets very comfortable with its religious outlook. And the flesh today is no more subdued by the righteousness of Christ than it was a thousand years ago. Anytime the righteousness of Christ is proclaimed or displayed by faith, then the flesh must harden (as Pharaoh’s heart did) or break (as David’s heart did once confronted by Nathan). My friend is not alone in stirring up wrath in his congregation. I cannot believe it seems unusual to have people angry enough to fight. If the word of righteousness goes out, then surely not every heart will be broken. Some will get angry—including some who profess faith. Oftentimes, religious people are the most ready to lash out against others who teach the way of Christ more accurately. I know of three men who faced the wrath of a congregation because they dared to suggest that professing Christians with white-colored skin are exactly equal to professing Christians with black-colored skin. And now that I think about it, in my 15 years of preaching ministry, I have been invited to fight on at least 3 different occasions as a direct result of maintaining the righteousness of Christ. The pastorate is not a place for wimps, but it is a place for peace-loving men—like Christ—to proclaim the righteousness of Christ, and face persecution (like Christ). So, yes, even in the midst of those who should believe all that you are saying, persecution is quite possible. This entry was posted in Pastoral Issues, Persecution and tagged Anglican, Bunyan, Christian Persecution, christians, Pastors, Persecution, Tyndale. Bookmark the permalink. I appreciate having that thought now in my head; when the righteousness of Christ is preached, the heart will harden or be broken. I know I have experienced both, thankfully more of the broken. Thanks, Terry. Keep preaching the word, brother.